Successful market research relies on the goodwill and co-operation of the general public to be able to gauge individual and communal responses to the issues and circumstances affecting commerce, sales decisions, politics or decision making in general or specific communities or populations. To ensure the ongoing goodwill of the people who make our business possible, we at Marketshare Australia, prioritise the protection of data and details specific to individuals. The Federal Privacy Act 1988 (Cth), is legislation that defines a set of 13 Australian Privacy Principles (APP’s) that govern the way organisations collect, use, protect and disclose personal information. Marketshare Australia embraces the 13 Australian Privacy Principles because they build on our Company objective to protect the privacy of respondents, clients and other people associated with our Company. 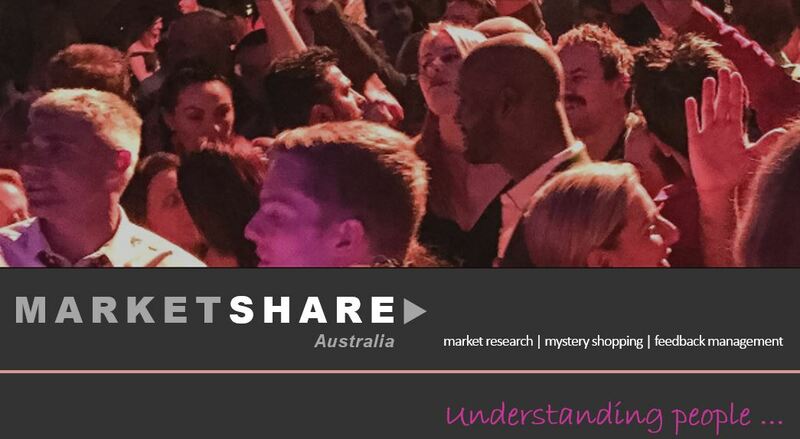 Marketshare Australia’s Personal Information Collection Methods? Research may be conducted in person or via the telephone or other electronic means. Our interviewers will always clearly identify themselves to respondents and in the case of face-to-face interviews, our interviewers will always have a photo ID. If we are collecting your name and contact details, the purpose of this will always be made clear either in writing or by our interviewer. To enable this, Marketshare Australia asks members of the public for their opinions on a variety of different issues to gather and present the opinions of the public directly to the people making decisions about goods, services or social policies that touch many aspects of our daily lives. We use data at an aggregate level, that is, we use the combined answers of many people to draw conclusions as to the opinions of broad segments of the population. Such personal information enables us to gain an accurate picture of what certain groups of people in society think on specific issues. Sometimes, Marketshare Australia collects personal information from the people we interview, our respondents. Most often this is used to verify that the person gathering the information captured the respondent’s true and correct opinions. We may also gather personal contact information such as name and contact details so we can contact the Respondent for further research or when rewards and prize draws are offered. We audit at least 10% of all our interviewers work by cross checking with the respondent to ensure the interview is authentic and the data collected was accurate. Any information that identifies an individual, such as name or address, is removed from our survey data as soon as it is no longer needed i.e. we use only de-identified data for research analysis. Protection of Personal Information & Data. We are not involved in direct marketing and will never sell personal information to marketing companies for direct marketing or any other purposes. Marketshare Australia will not transfer personal details to a client or any third party not directly involved in the completion of the research project without the consent of the individual the details relate to. Marketshare Australia will only transfer personal information to third parties that are directly involved in completion of the research project or product. Examples of these parties are: mailing houses, auditing contractors, software suppliers and administrators, businesses that provide sampling services or printing contractors. All Marketshare Australia computer systems are located in Australia. Marketshare Australia takes all reasonable precautions to protect information held about people who make our research possible. All our systems are security protected and all Marketshare Australia staff and interviewers sign a confidentiality agreement upon commencing with the company. Personal information is stored securely and destroyed as soon as it is no longer required for research purposes. With Internet based projects, we attempt to minimise the flow of personal information over the internet. Australian Privacy Principles & Access To Private Information. Further information : all general queries, concerns or complaints should be directed to our Privacy Officer via the contact details listed below. If your complaint is regarding removal of your contact details from our records we will confirm in writing to you as soon as this is actioned. Our privacy officer or their representative will contact you for all other queries.